No matter what car, truck, SUV, or van you own, you will need routine maintenance and repairs. Regularly scheduled auto services like oil changes, cabin or engine filter replacement, tire rotation, brake inspection, or new tires. LaFontaine Honda Service Department understands that all of these can add up in cost! That is why we offer a wide selection of rotating parts and service special coupons. So if you live in or around Wayne County, save one of these coupons to your phone and schedule service today! Save on any minor Honda maintenance service today! Save on any intermediate Honda maintenance service today! Save on any major Honda maintenance service today! Up to 4 quarts of full synthetic oil, additional quarts may be extra. Includes Honda brake pad replacement and rotor resurfacing service. Price per axle. Save on Honda the timing belt package including the timing belt, drive belts, water pump, and coolant fluid. 15% OFF All-Weather Floor Mats. 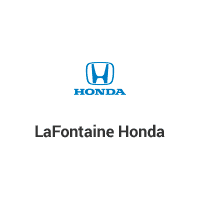 Why Go to LaFontaine Honda for Maintenance? You can’t just trust any old service shop when you need car maintenance or repair for your Honda. You need a state-of-the-art service center with expert technicians that are dedicated to your vehicle’s health and brand. Put our expert service techs to work for you by scheduling a service appointment at LaFontaine Honda.